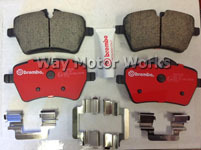 Brake Pads and parts for your MINI. 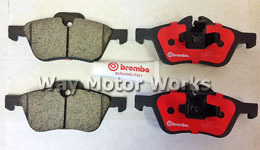 We stock several brands including EBC, Carbotech, Hawk, Akebono, Zimmerman, ATE, Motul, TSW, M7, and Way Motor Works. 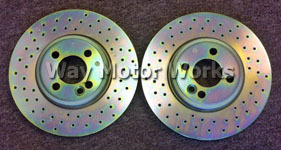 We have all the MINI brake parts you need from brake pads, brake rotors, brake fluid, pad sensor, stainless steel lines, even brake duct kits.